Now settled into its home of the Vredefort Dome, Forest Run sparkled under a blue sky and warm sun. The magical lenses of Maggi and Marcel from Sigg Digital captured the beauty of the day and the energy of the runners. These photo albums are on Forest Run’s Facebook page for you to look at, tag, share and enjoy. Here is a short video by Marcel from Sigg Digital with some aerial footage of the terrain near the Bundu Waterpoint and also of the historic Venterskroon buildings near the finish. All courses cover these sections. Buffelskloof from Helena Pienaar on Vimeo. For this year, Forest Run found a new home in the hills, valleys and forests of the Vredefort Dome. Maggi and Marcel from Sigg Digital were back with us to capture the spirit of the event and the beauty of the area. Here are their images in these Forest Run Facebook albums. WP2 (windpomp): I love this valley – a great location for WP2 and only 5km from the end. Red Donga Trail: This is an actual hiking trail section on Thabela Thabeng’s property. Marcel and Maggi from Sigg Digital were back with us for this 3rd edition of Forest Run. Here are the albums on Forest Run’s Facebook page. Marcel and Maggi from Sigg Digital took photographs this year and they outdid themselves. Here are their albums on Forest Run’s Facebook page. As Zelda Coetzee was unable to run due to injury, she took lovely photos too from spots along the route. 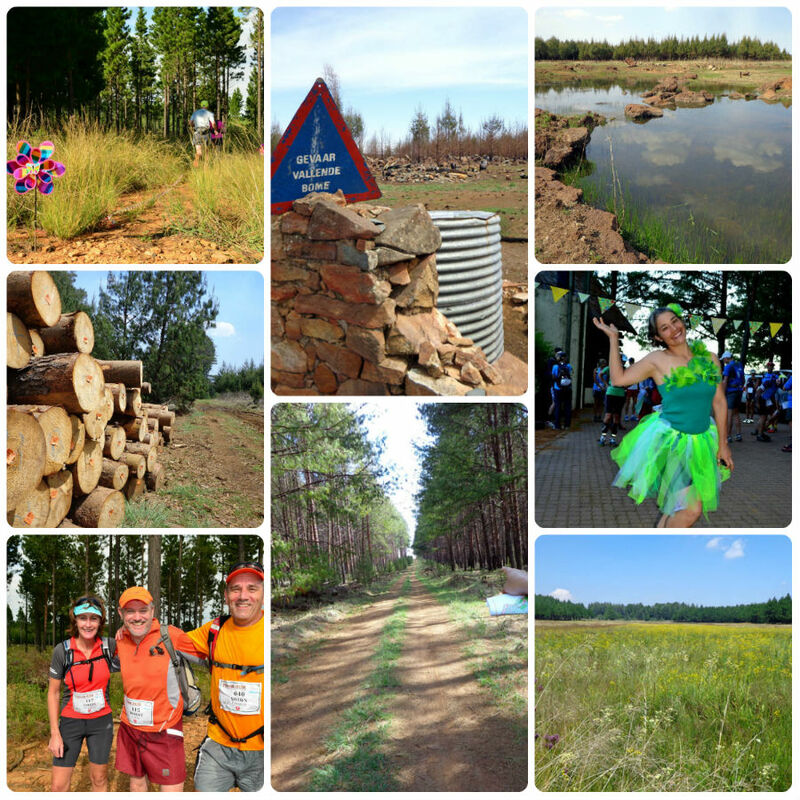 Zelda Coetzee took many beautiful photographs at the first Forest Run. You can view these images on Forest Run’s Facebook album.